Born at Brantford, Ontario on 1 August 1859, son of Andrew and Mary McMeans, he received his education in the Collegiate Institute at Brantford, then studied law in the office of Rose, Macdonald & Merritt, of Toronto. He was called to the Ontario Bar in 1881 and, in 1882, he joined the rush then coming to Manitoba, the same year locating in Winnipeg. On spending one year in the province he was admitted to the legal profession. 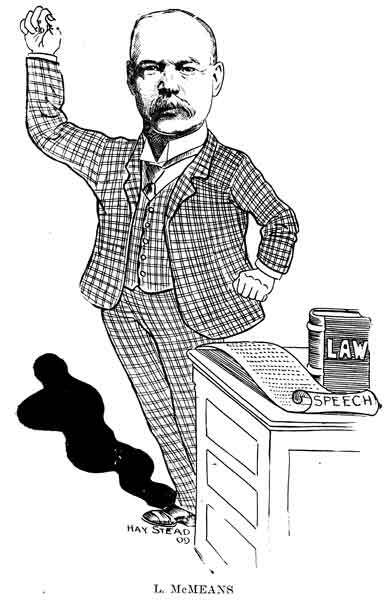 One of the important pieces of work that has been assigned to him was the revision of the statutes, in which he was associated with Chief Justice Killam, in 1900. On many occasions he was retained by the government to prosecute criminal cases. He was also President of the First National Realty Company. In 1884, he married Mary Beatrice Harris (1863-1945) of Montreal, with whom he had of four children: Vivian Arthur V. McMeans, Ernest D’Harcourt McMeans, Lenore McMeans (?-? ), and Lendrum Edmund McMeans (?-1983, husband of Marjorie Maulson, son-in-law of Harold F. Maulson). They lived at 134 Westgate in Winnipeg. He was a member of the Manitoba Club, Carleton Club, and St. Charles Country Club. Politically he was a staunch Conservative, and he and his family were members of the Anglican Church. 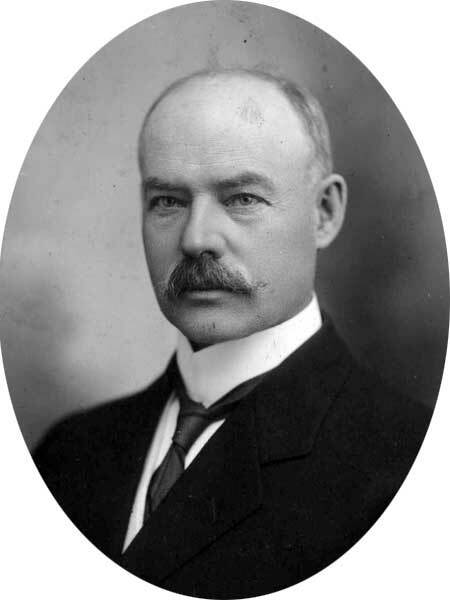 He was elected to the Winnipeg city council in 1909, serving a single term. In the 1910 provincial general election, he was elected for South Winnipeg but was defeated in the 1914 and 1915 general elections. He was appointed to the Senate in July 1917. He died at Winnipeg on 13 September 1941 from complications arising from a fall and was buried in the St. John’s Cathedral Cemetery. He is commemorated by McMeans Avenue in Winnipeg.